If you went to school in Australia, or are a pretty big fan of Star Trek (and in particular the Klingon language), you would almost certainly have heard of the Jenolan Caves. In fact, almost 200,000 people per year visit this incredible place; from students to international tourists looking for adventure and a living piece of history in the world’s oldest caves system. And who could deny their greatness? There’s ancient cave paintings, and once upon a time outlaws used them as a hideout… Brilliant! The site was known to the local Aboriginal population for many thousands of years as Binoomea, “Dark places”. It wasn’t until 1838 that European settlers became involved in the site. According to legend, the cave was discovered by a rather shady character by the name of James McKeown, an ex-convict and probable outlaw, reputed to have been using the caves as a hideout. The Jenolan Caves have an enthusiastic historical society (Jenolan Caves Historical & Preservation Society) who maintain a very informative website. Not only do the Jenolan Caves have a colourful history, but a lengthy one! 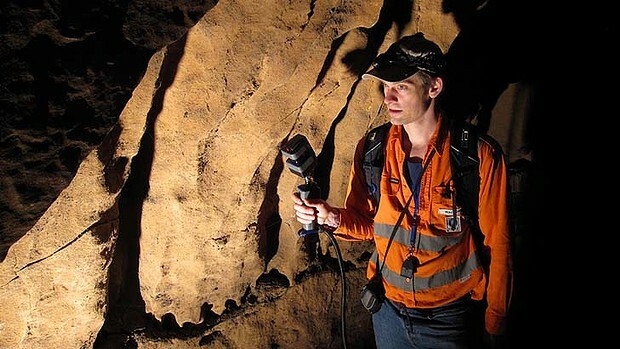 CSIRO, the University of Sydney and the Australian Museum – in cooperation with the Jenolan Caves Trust – have shown that the caves are at least 340 million years old. It was only 20 years ago that scientists thought that the caves were only a few thousand years old… We’ve really come a long way! To cut a long story short (340 million years long), by studying the growth of Stalagmites and Stalactites and comparing their growth against known records, the CSIRO are able to get a glimpse of our past climate to help understand more about our future. The Jenolan Caves are rich with wildlife, fauna and flora that is unique to this unspoilt part of the world. Your visit will include rare wildlife, unchanged and contrasting ecosystems, and geological formations ‘wilder than the imagination’. Not only is the area full of adventure, dripping with history and a snapshot into a distant time in our planets history, but it’s complemented beautifully by excellent educational resources. You can go on school excursions, get worksheets and other classroom resources, and best of all, visit the caves virtually…. The future is here today for the world’s oldest cave system, with the Jenolan Caves real-life environment being laser-scanned and turned into completely faithful online science education experience. It sounds like science fiction but is now science fact! Students can complete activities while they roam at will. There’s no crowds, buses to organise or parent permission slips to be seen – just science learning in a place rich with unique opportunities. It’s perfect for students – it feels so much like the games they are used to playing that they barely realise they’re learning.